You will see below some links to written articles, the outputs from activities and general information. I hope it proves useful. Stories from project managers. 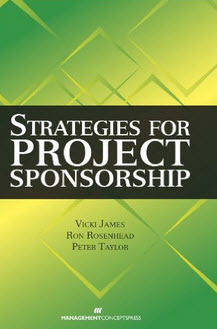 In the writing of Strategies for Project Sponsorship we received many stories from project managers. A few are copied here. Bridging the gap – – this contains the answers to the question posed during a recent presentation where I asked: “What can we do to bridge the gap between what the sponsor should be doing and what they are doing? 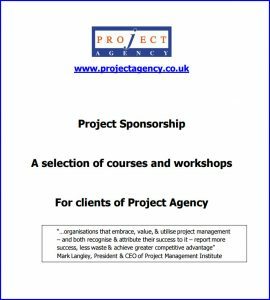 Project management screw up – we didn’t have the right sponsorship – By Lonnie Pacelli. Sample Chapter is provided courtesy of Prentice Hall PTR. Challenges in Executive Project Sponsorship by Todd C Williams, President eCameron Inc.